How to create new record? 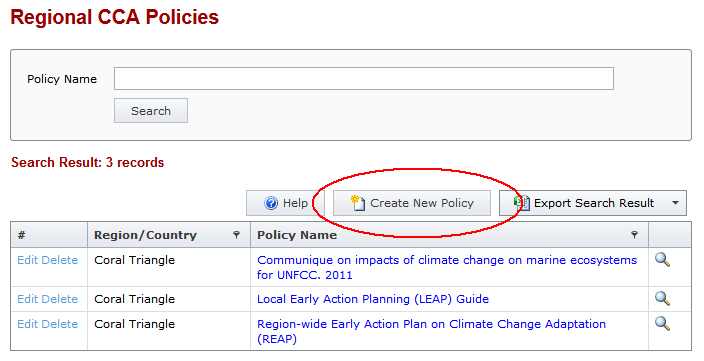 Click "Create New Policy" button. Enter the attributes into the blank form. 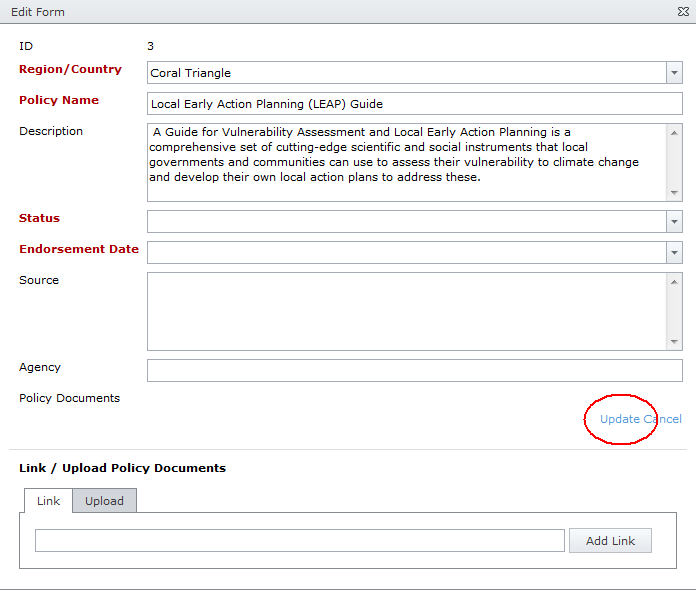 Required fields are highlighted in red color. How to update existing record? Enter search keyword into the textbox and click "Search" button. The search result will be listed in the grid. Click "Edit" to show the edit form. Enter the changes and click "Update" to save the changes. 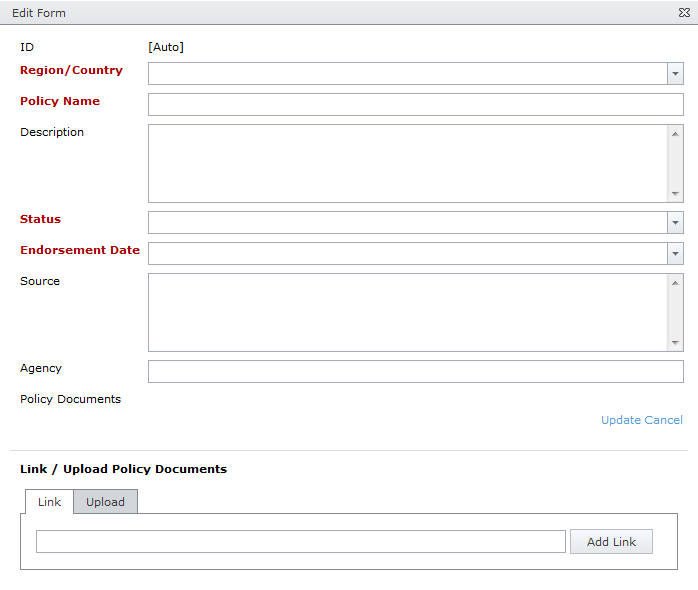 How to export the records? The search result will be listed in the grid. Click the "Export Search Result" drop down menu to select the file format. 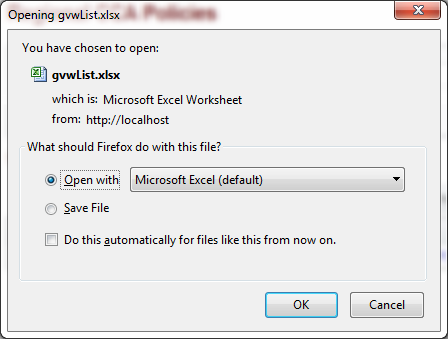 Click "Open with" / "Save File" to download the exported file.